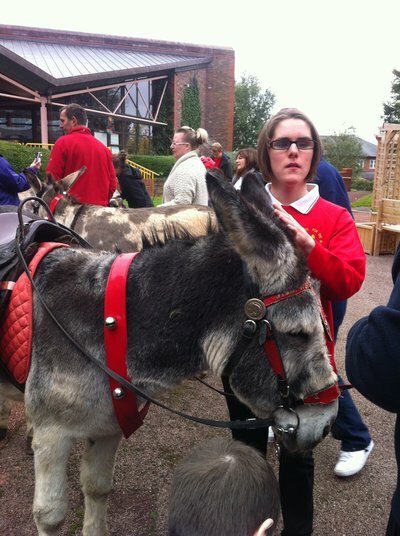 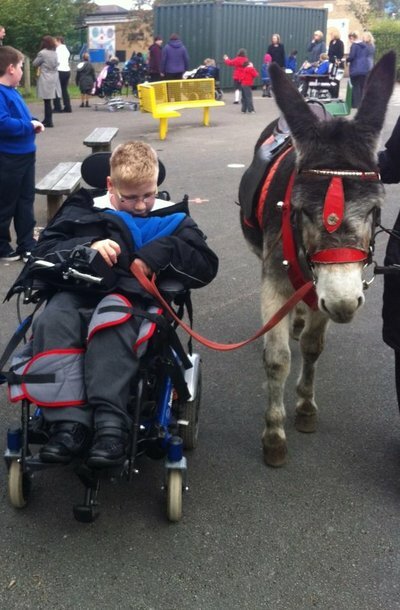 We provide specially trained donkeys to visit schools, hospitals, hospices and care homes. 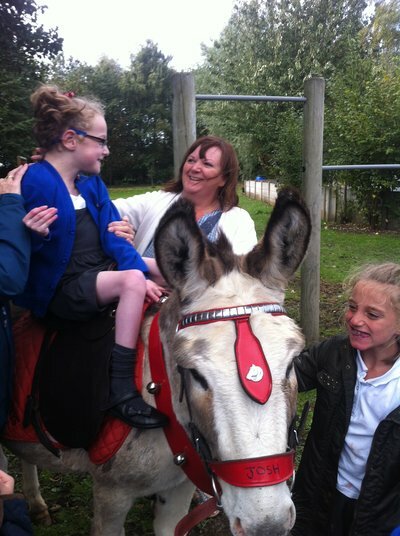 Our gentle, friendly donkeys travel throughout the UK to interact with children and adults with disabilities & special needs, those who are ill and the elderly. 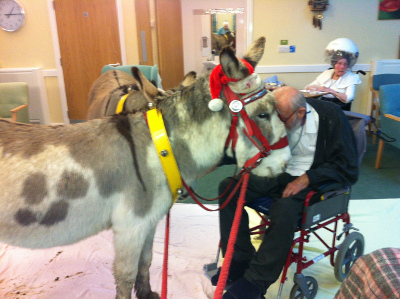 Our donkeys are trained to go into wards and bedrooms so even bedridden people can meet, stroke and feed them and they rarely fail to raise a smile.